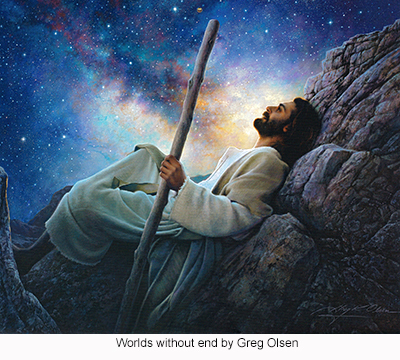 Everyone knows that Jesus lived a life that lasted into his 30s, but up until the introduction of The Urantia Book into our world, only a small portion of those years have been known; Jesus' birth in Bethlehem is well-known; his dramatic disappearance in the temple at Jerusalem when he was 12 years-old is recounted; and of course, the events of Jesus' ministry, from baptism in the Jordan up to his death and resurrection are among the most well-known events of the Master's life. The New Testament accounts are essentially all that the world has been told about the life of this God/man who has made such a profound impact on our civilizations and religious landscape. But, what of those "lost years" about which there has been so much speculation and curiosity? Anyone who knows and loves Jesus must wonder about what Jesus' life was like...his day-to-day life-- with Mary and Joseph, with his schoolmates and friends, when he was an adolescent, a young man, a young adult. What was he doing all those years? Here in this study, we will take you through those years, and supply all the missing pieces, as told in the pages of The Urantia Book. The entire life of Jesus, including all of his teachings, are narrated in Part IV of the book, a modern-day revelation to mankind. This study will help all believers comprehend that religious life of Jesus, most especially in the years before he was conscious of his divinity...during those days when he was growing up, growing in grace, growing to know the Father and to know who he himself really was. Taken from our special feature: The Illustrated Stories this study will present story after story of those lost years. Can we be sure that they are accurate? Yes, we can. These details from the Master's life are taken from spiritual witnesses...beings who were actually present during the whole of Jesus' life and who know what really happened. These stories have the unmistakable "ring of truth" that will resonate in the hearts of any who come with an open mind. If you think about it, you'll likely agree that the incarnation of God into a human body is quite an important event...not only for the bestowal world (ours) but also to the personalities who inhabit the universe of his making. Those hosts of personalities followed and chronicled the career of Jesus carefully; finally, here in The Urantia Book, these witnesses give us the whole story in rich detail--details which you'll find nowhere else. Here are the stories, listed in chronological order; just click on the blue link when you find a section that is of interest. Joseph's Dream, And "The House Of David"
Jesus Formulates "The Lord's Prayer"
Jesus Ponders His Mission - The "Son Of Man"
"A Normal And Average Life"
From this point on, the basic events of the life of Jesus are well- known...his preparation for ministry, events of public ministry, his death and resurrection. Nonetheless, the Urantia Book accounts of these times will add rich detail and meaning to those times, and you'll find additional stories that flesh out and complete that momentous event in our history- that event of the Creator becoming man and revealing to the material eyes of mankind him who is invisible.